head of Akaushi fullblood or halfblood cattle. Akaushi is the most exciting new breed of cattle. At HeartBrand our passion includes development of the breed, but our focus is the longevity and growth of the American beef industry. Akaushi genetics provide a multitude of new opportunities in developing markets, superior marbling, quality cow performance and improved health benefits of beef products. We hope to partner with other beef producers who are equally as dedicated to producing exceptional beef. The HeartBrand Ranch is headquartered in Harwood, Texas with cooperating ranches located around the U.S. HeartBrand’s Certified Akaushi Beef is supplied through HeartBrand’s own herd of nearly 14,000 Akaushi full-blood or half-blood cattle, cooperating producers and through our buyback program. To qualify to be branded as HeartBrand’s Certified Akaushi Beef cattle must be DNA verified to be at least half Akaushi. The animals are never implanted with hormones, are fed an all natural vegetarian diet and are not given antibiotics or beta agonists in the feeding phase of life. Cattle are typically harvested at 20-24 months of age and most HeartBrand cattle are finished at Bovina Feeders near Farwell, Texas, then harvested at Caviness Beef Packers in Hereford, Texas. To learn more about HeartBrand Beef or how to order the product please visit our HeartBrand Beef website. HeartBrand Beef is the best beef money can buy. Order now! In 1994 several Akaushi cattle boarded a Boeing 747 in Japan bound for the state of Texas. The cattle landed in New York, cleared customs and were hidden in Wisconsin before they finally arrived on Texas soil. These females and bulls would become the foundation of the HeartBrand herd and the American Akaushi breed. Their descendants now reside at HeartBrand Ranch and many other ranches across the United States. What made these cattle so unique they had to be flown across the world for U.S. producers to access their genetics? Their ability to produce the world’s best beef combined with maternal longevity, attractive body type, high fertility, calving ease and growth. The Akaushi breed brought to the United States the desired carcass quality of a Wagyu breed with the conformation and structure of an animal any American rancher would be proud to put in their front pasture. Passionate about high-quality beef, Jordan and Ronald Beeman saw an opportunity to improve the American beef industry through Akaushi genetics in 2006 when they purchased the HeartBrand entities. The Beeman family sold their branded meats business and dove full force into their mission to revolutionize the beef industry by pushing the boundaries of the performance of cattle and the health benefits and the taste of beef through diligently maintained Akaushi genetics. To further develop the brand and products, the Beemans welcomed current CEO and Meat Industry Hall of Famer Bill Fielding to the team in 2008. 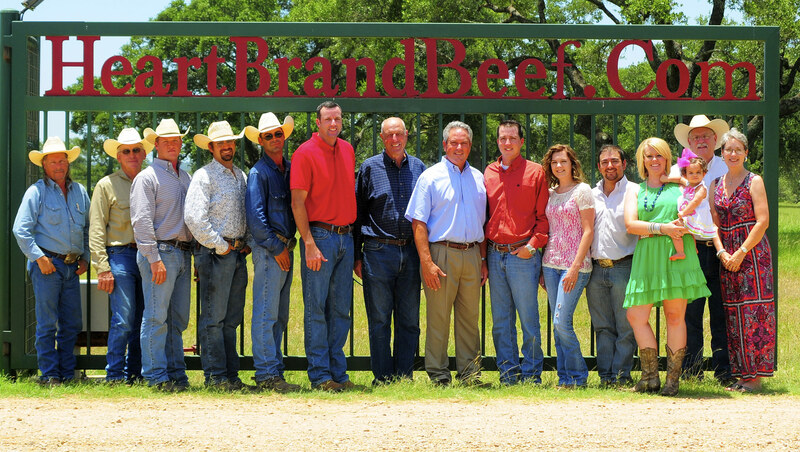 Today the HeartBrand team continues to diligently develop the breed and their branded beef. The demand for HeartBrand Beef has grown and it is distributed regularly to restaurants and retailers across the country and direct to consumers via the company’s website. as replacements to your herd. The Akaushi breed is a type of red Wagyu Japanese cattle. The origin of the breed traces to Kumamoto, Japan where they were developed to withstand the challenging climate and terrain of Kumamoto, but also the refined taste of Japanese consumers. The Japanese Association of Akaushi was founded in 1944 to carefully control the breeding, progeny testing and research that culminated to produce the best-tasting beef in the world. The American Akaushi breed was approved by the National Pedigree Livestock Council in 2009 as an official purebred breed from the National Association of Animal Breeders. The American Akaushi Association to which all HeartBrand’s full-blood Akaushi cattle are registered to, is headquartered in Harwood, Texas. The Association provides breeders with assistance in market development, herd reporting and management of the breed.